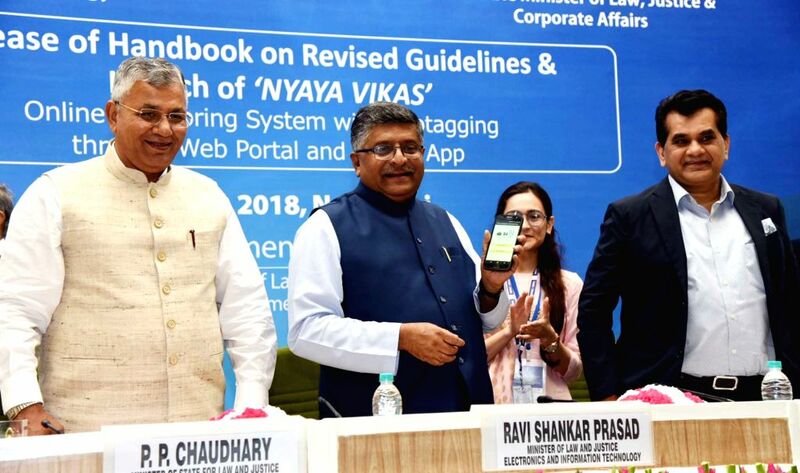 New Delhi : Union Electronics and Information Technology Minister Ravi Shankar Prasad launches âNyaya Vikasâ - a mobile app in New Delhi on June 11, 2018. Also seen Union MoS Law and Justice P.P. Chaudhary and NITI Aayog CEO Amitabh Kant.